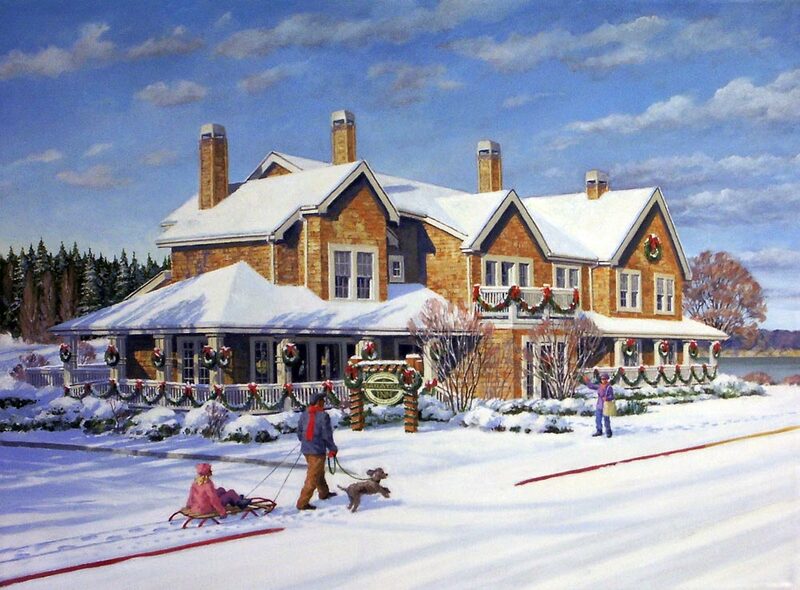 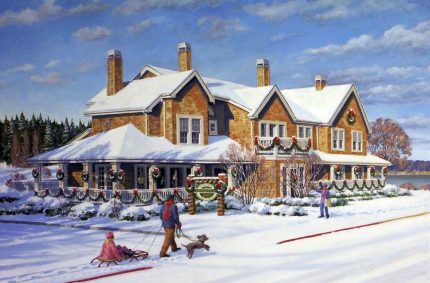 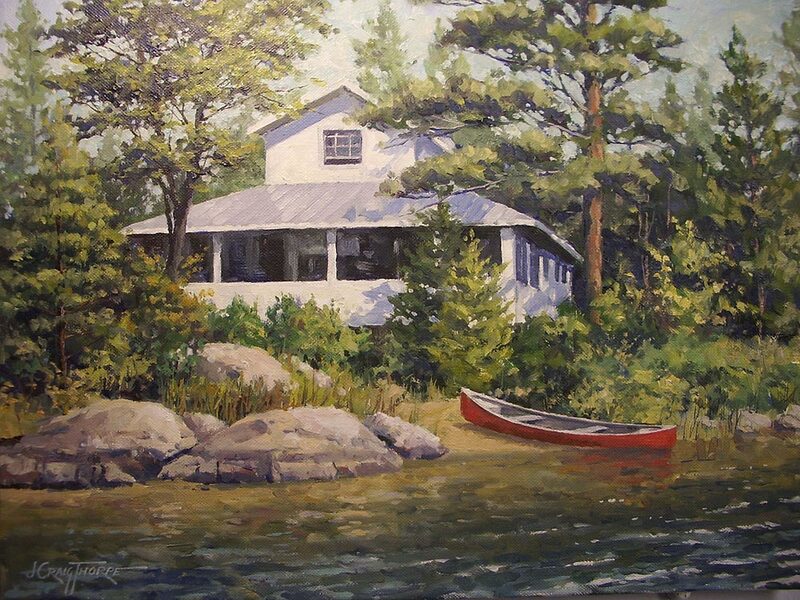 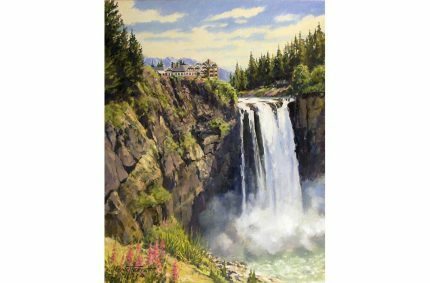 Saratoga Inn – Oil-on-canvas 24″x36″ showing the Saratoga Inn B&B in Langley, WA. Snoqualmie Falls – Oil-on-canvas 11″x14″showing the famous Snoqualmie Falls in western Washington state. 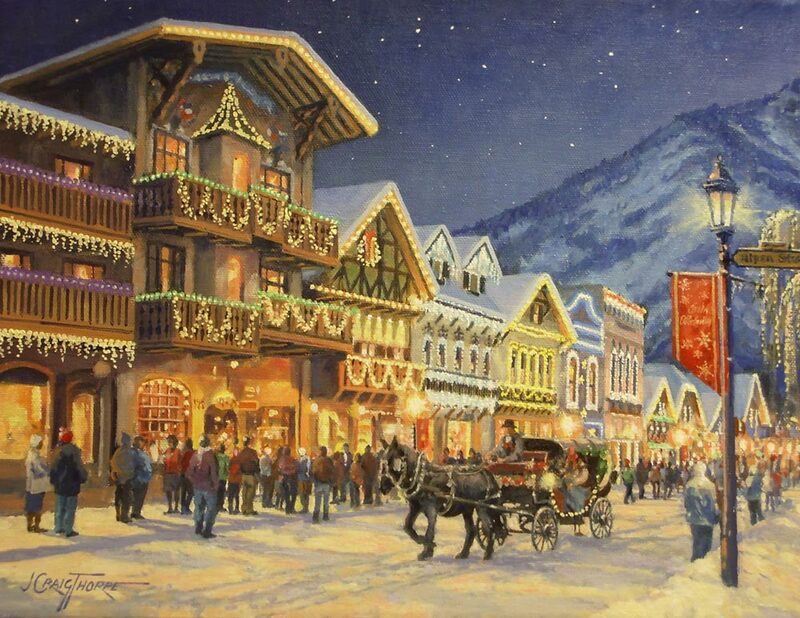 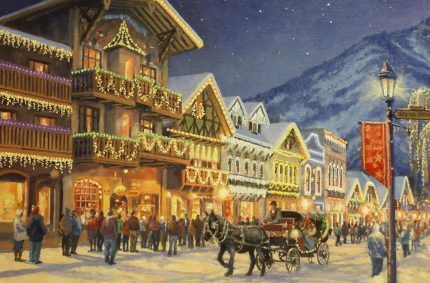 Leavenworth Front Street – Oil-on-canvas 11″x14″ showing the Christmas lights in the famous “Bavarian” town in the Washington Cascade Mountains. 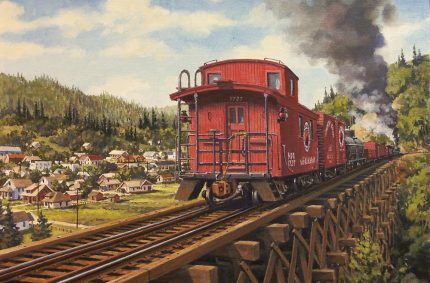 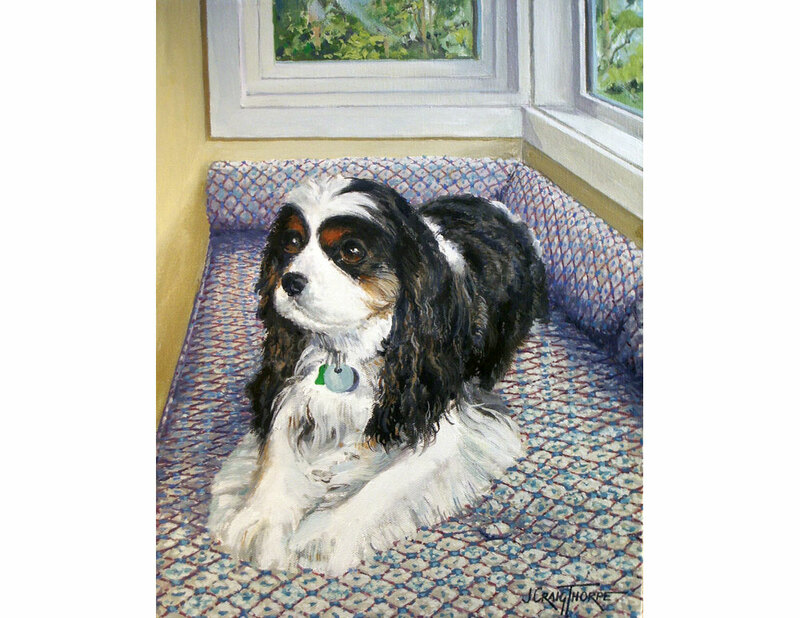 Caboose – Oil-on-canvas 11″x14″ showing a former Northern Pacific Railway caboose, currently owned by a resident of Issaquah, WA, on the former Issaquah trestle. 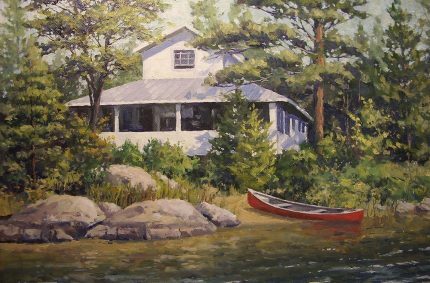 showing a family retreat in Ontario. 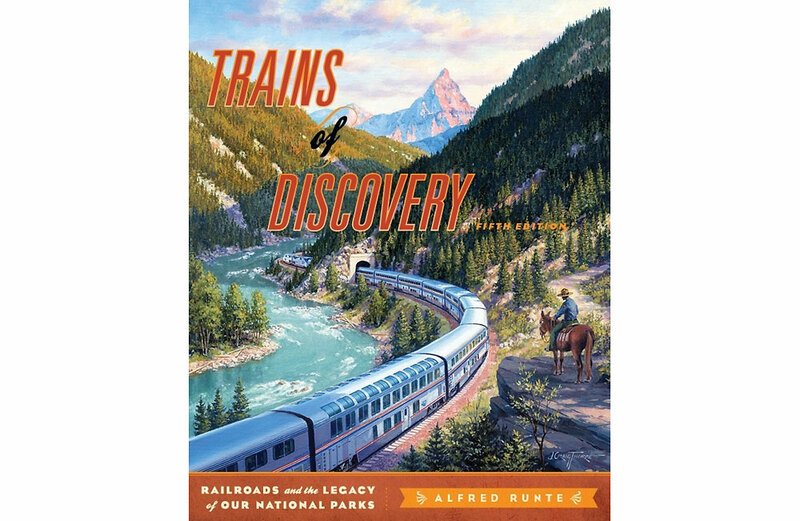 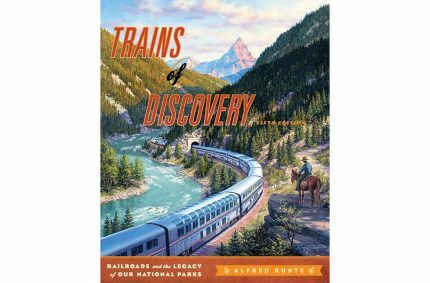 Cover art for “Trains of Discovery: Railroads and the Legacy of Our National Parks”, 5th edition, by Alfred Runte. 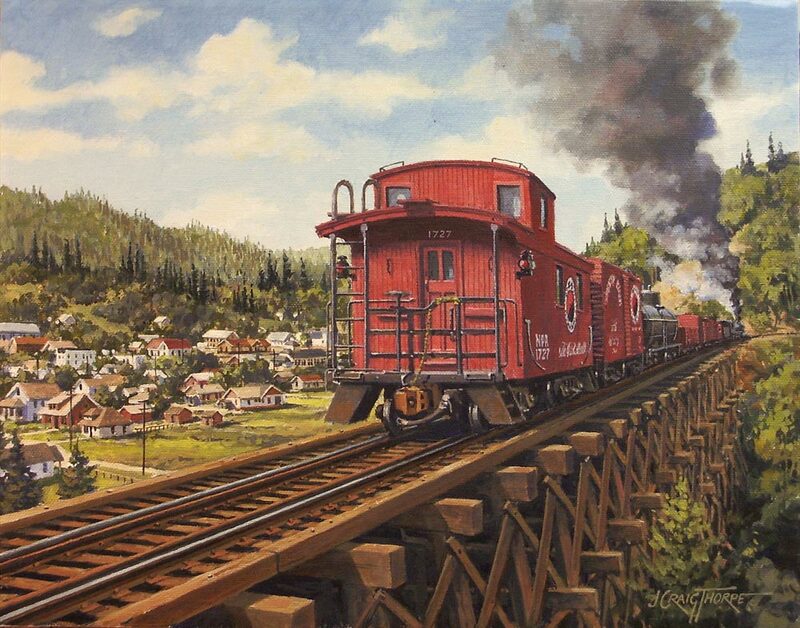 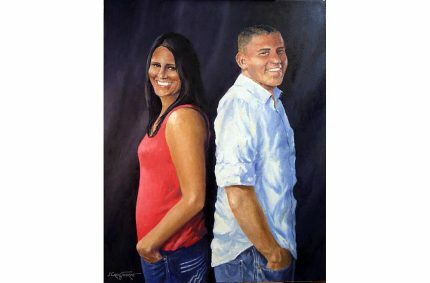 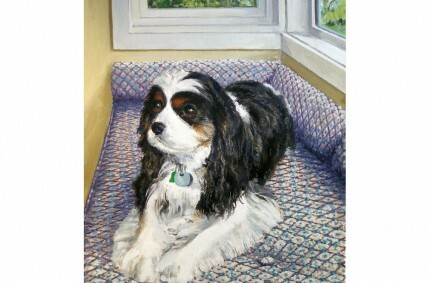 Painting originally commissioned by Amtrak.